Call for volunteers for the period 1 June – 31 August 2014.  Our ability to attract volunteers from all over the world to "Estia Agios Nikolaos" is an important factor for our success. Estia has been certified by the Greek National Office as a hosting and coordinating organization for the programme ERASMUS+. Volunteers help in the daily life activities of the community: they work together with the residents in the different workshops and help with the household jobs. Volunteers also take part in leisure activities such as swimming (when the weather allows it), excursions, walks, music, games, etc. - To create a family environment for all the members of our community. - To bring our members in contact with other cultures. - To help our volunteers in experiencing a different approach towards people with special needs. Volunteers enrich the daily life in the Estia by giving the members of the Estia the opportunity to get to know about other cultures.